How Many Days Before You Give up Hope When SHTF? When you consider the events that preppers all over the world seem to prepare for, earthquakes, floods, wildfires, hurricanes, government collapse, economic collapse, rioting, hurricanes and on and on – if you are honest, you have to contemplate how you will act when faced with death. When whatever situations we are storing supplies for happen, inevitably in the worst disasters there will be death. There always is. In the most disastrous to us personally, it will be people we know and love. I think all of us fear that possibility in the back of our minds and we deal with that in some ways by prepping. The more prepared we are, we figure, the less we have to worry about anyone we care for being adversely affected by disaster. That is the whole reason behind prepping, right? It is and while I can’t think of a better defense against bad things happening, still we all know they will. That is if we are being honest. I say that again because I think some of us aren’t truly grasping the enormity of a situation that we would collectively call a SHTF. We have a pretty cavalier attitude about it sometimes and illustrate our plans to pick bad guys off at 300 yards before they can sneak through the woods to harm our women and children. We talk about repelling the worst of society and stocking away enough provisions to feed a platoon of highly skilled friends for years but are we just kidding ourselves and walling off discussion of something we all fear? Are we avoiding conversations that we may need to consider now that involve the very real prospect of death? I was prompted to write this article after listening to a podcast interview of the author Sheri Fink who has written a book entitled, Five Days at Memorial. In this book, she describes the events during hurricane Katrina that happened at Memorial Hospital. The podcast where she was interviewed and described in shocking detail the events that happened was incredible to me. You can listen below. To cut to the most compelling story, one which you may already know, many patients were found dead in Memorial Hospital immediately following Katrina and there were charges that they had all died from lethal doses of drugs. Mortuary workers eventually carried 45 corpses from Memorial, more than from any comparable-size hospital in the drowned city. I won’t ruin the podcast or the story for you. It’s tragic on many levels, but the point that stuck out to me was that for all intents, these people in this story only lasted 5 days after a SHTF event before someone gave up. I am not debating the various sides to the story, that is something you can do if you like. What is incontrovertible is that this one hospital lost power and utilities really on the day after the hurricane passed through. Only 4 days really after that, decisions or circumstances led to the death of 45 patients. In an ecosystem ostensibly set up and more than capable of preserving life in normal circumstances, death still happened in only 5 days after a loss of power. How long will you last without power? Some of you may be reading this and thinking that these patients were very sick and near death anyway. They couldn’t possibly survive without power running their various systems. The heat was intense (reports are over 100) and if a lethal combination of drugs was administered to them, that is merciful. OK, so if that is your argument, place yourself in that same situation. The power has gone out for 5 days in the summer due to some force outside your control. Now add to that, your toilets are filling up with sewage and your mother who is nearly bed-ridden is feeling the effects of age and her ailments more so in the heat. Are you going to put her out of her misery? Would you wait another 5 days? A month? How long would you last? These questions I am posing, I honestly don’t have the answers for myself, but it did start my wheels turning. At its most basic, in this story, for the people in this hospital, this was a power outage. Yes, it was more chaotic than that, but the water didn’t push them from their location. They were dry, not counting the sweating they must have been doing and still with all their training, despite the Hippocratic oath… people were dying after only 5 days. This was in a hospital. What will happen everywhere else with people who aren’t trained to preserve life? What could I do any differently? The story of what happened in Memorial hospital reinforced for me just how quickly our society will unravel in a true crisis. After only four days’ critical patients in hospitals died. You have to expect similar things in nursing homes, assisted care facilities and regular homes or apartments of senior citizens everywhere if they are dependent on medicine or power to survive. Now add people who are on prescription medication (at least 60% of Americans) or who are bed-ridden, confined to an electric wheel chair type of device. Sure some of these people can survive without medication, but many will not be able to. What will be the scale of death with a larger event that takes power out for months or years? How many people will die when the power goes out and all of the ability to refrigerate food is gone? What will happen when there is no more air conditioning and temperatures raise higher and higher without any relief? When the bodies start to pile up, what will you do? Will you be looking at ending the suffering of your family? The people you have been entrusted with caring for? How long will you be able to last before you give up and say to yourself, I am making them more comfortable? Stories like this prompt me to action in a couple of ways. Many dead were found in the chapel. Refocus on prepping – Even if this is National Preparedness Month, hearing real life stories like this motivate me in a way that no stupid national declaration could ever do. These people were in a hospital so their lives to a great extent were in the hands of the medical practitioners, but you will likely not be in a hospital. Do you have supplies to last if the power goes out for 5 days? Do you have enough food and water for 30 days? Can you last longer than that? Have you ever experienced that much time without power? Have redundant power sources – Additional backup power for me is a luxury, but for people who need this to survive, it’s a different story. I have several alternative sources of power from small solar panel systems to generators and power inverters. I have enough to get me by but not in sufficient amounts and not for long. Unless you have a significant source of solar power, in the worst disasters anything will eventually run out. Generators will run out of fuel no matter how much you store. Consider medical issues – My family is all healthy but our extended family has a couple of people who require prescription medicine daily. Two are diabetic and I need to work with them on both acquiring more supplies just in case and to my previous point, making sure they have a way of keeping their insulin cool. 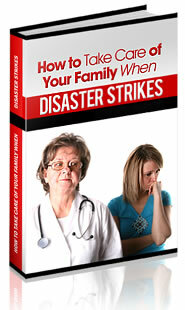 Does your family have medical needs that you can handle if the power doesn’t come back on? Remember what SHTF really means – SHTF isn’t really just some cool letters we strung together to sound hip. It is an idea that should conjure the worst scenarios in our mind. If we truly do live through a SHTF event, we can expect miserable conditions. This won’t be like the movies. People will die and tragedy will be in our faces, on our streets and impacting people we really know. Plan to survive – Above all else, my motivation for prepping is that I plan to survive and I am taking as many people with me as I can. It is important to remember that well after I am forced out of the comfort of my office chair. When all hell breaks loose, that is when it matters and everything I have planned for up until this point will need to be put into action. Don’t give up – I realize that at some point preserving life is no longer feasible or wise. I can’t say what I would have done in the case of the people in New Orleans for sure, but I do hope I would have been able to last longer than that. Suffering is never fun, but we were never promised a life without suffering. I will try to hold on as long as I can and do what is in my power to help others. That is all any of us can do. The post How Many Days Before You Give up Hope When SHTF? appeared first on The Prepper Journal.